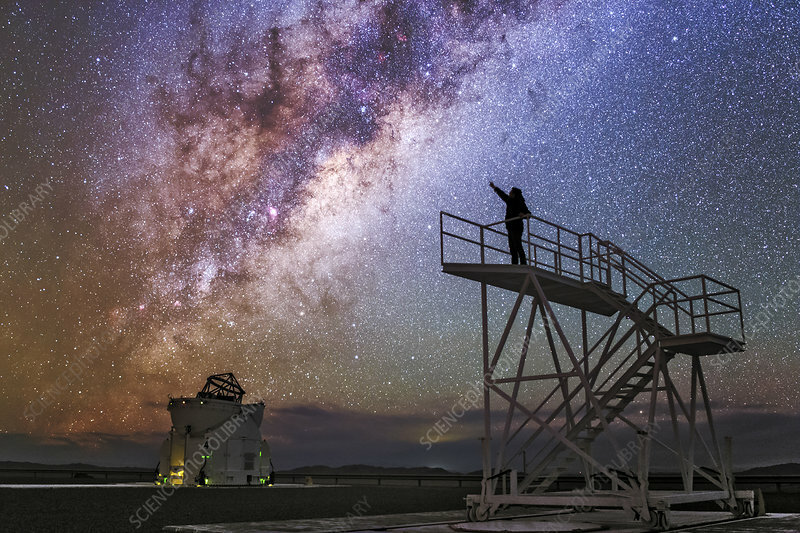 An observer standing on a platform points at the Milky Way in the constellations Scorpius and Sagittarius. Photographed at the Cerro Paranal Observatory, Atacama Desert, Chile, home to the Very Large Telescope. The VLT comprises four 8.2-metre mirror telescopes and several smaller auxiliary telescopes. It is located at an altitude of 2,600 metres on Cerro Paranal (Paranal Mountain).